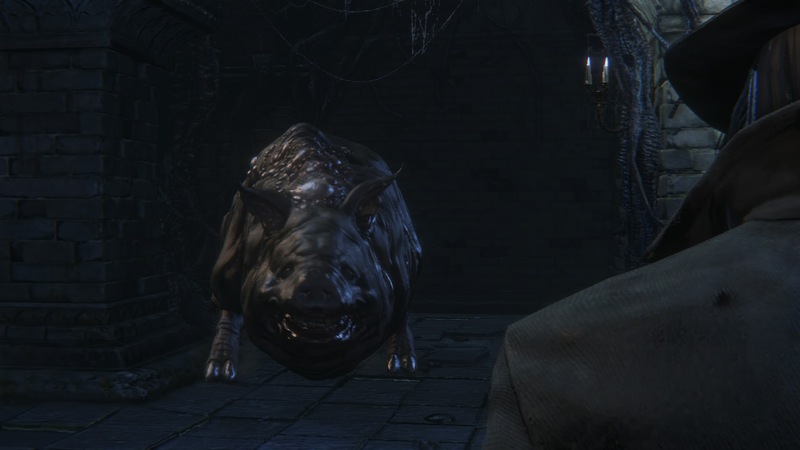 I’ve wanted to compare these two games for a long time, and with Bloodborne coming out, it seems like the perfect opportunity to look back on it’s heritage. 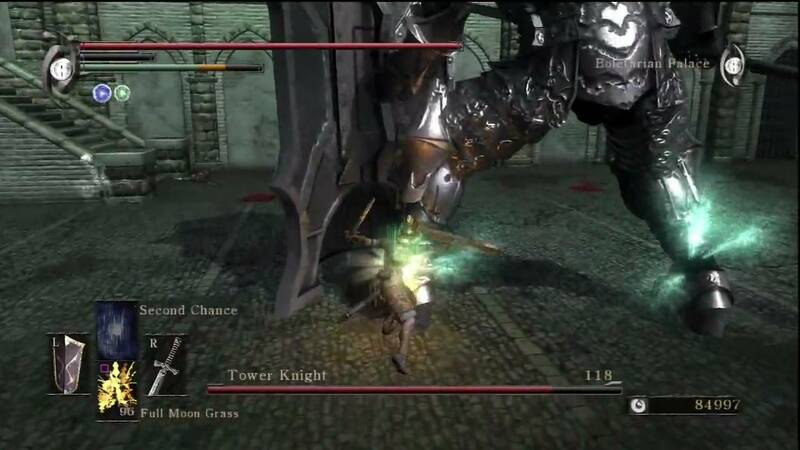 When I played Dark Souls for the first time, I couldn’t stop comparing it to Demon’s Souls (the apostrophe in “Demon’s” is so annoying when typing on your phone). This didn’t prevent me from enjoying Dark Souls, as it truly is a remarkable game. But I wanted to write this, and may continue to do so in greater depth in the future, because I often hear people talk about how transformative Dark Souls was. Edge Magazine (the reigning king of video game magazines, if there is one), rated Dark Souls the greatest game of the previous generation. This doesn’t surprise me, however throughout their article, it’s as if it’s immediate predecessor Demon’s Souls had been completely forgotten. Which is a shame, because regardless of Dark Souls, I would consider Demon’s Souls (and it’s stupid apostrophe) one of the greatest games of the previous generation. Dark Souls is an amazing experience, an improvement in most ways on the original, but it was still only a natural incremental improvement. It was Demon’s Souls that revitalized my faith in gaming. At the time I first played it, it was the best game I had played in nearly a decade. In true genius form, From Software had given me what I was looking for, before I even knew what I wanted. 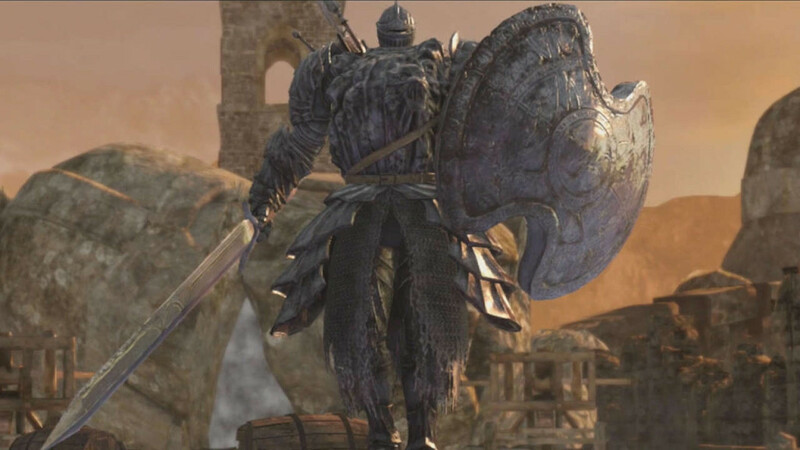 Despite the overall improvement in Dark Souls, there were several things that have never reached the same heights. 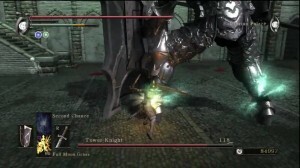 The difficulty curve had a finer balance to it in Demon’s Souls, and Dark Souls implements what is perhaps the biggest detriment in the later entries: the ability to call in outside players. Multiplayer could be done amazingly. Instead, a fight against Smoug goes from world class challenge to laughably easy. Like any good cheat though, this is limited by a player’s willingness to abuse the system. Don’t want to wait? Just bring in a couple friends and ruin the curve. What’s perhaps even more glaring is the fact that Dark Souls has ignored some of the more obvious improvements that could have been made. There were only a few cinematic moments in Demon’s Souls, but they add a lot of flavor (think Scraps pushing you into a pit). 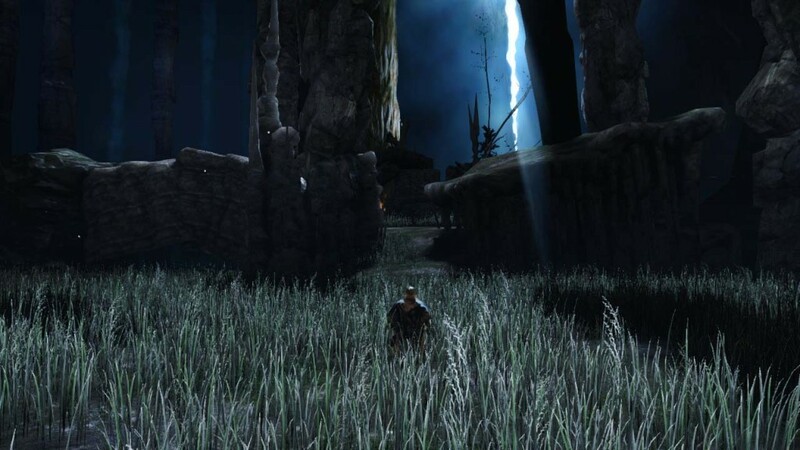 At first, each Dark Souls game appears to recognize this, as they both pull you into their worlds’ through their opening scenes. Unfortunately, this is about the last until the end of the game. You never want to replace action with cinema, but there are times when it can push forward the story. The other missed opportunity has been the open world. 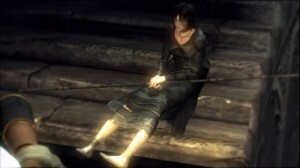 That was the most glaring thing missing from Demon’s Souls. 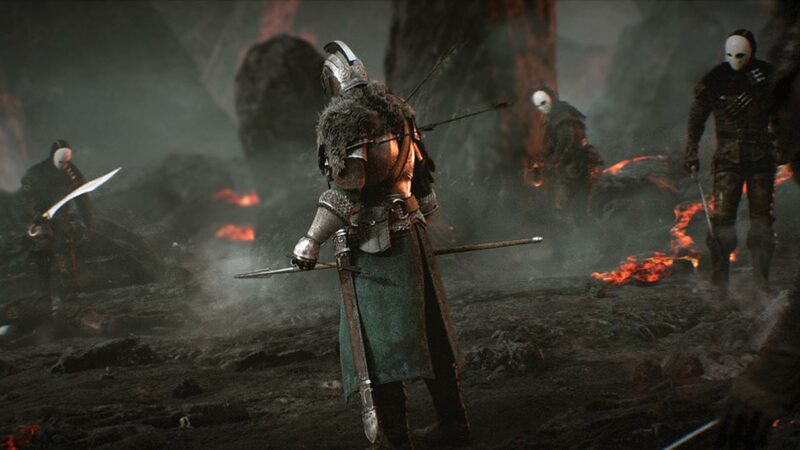 Yet the way Dark Souls handles the open world makes it feel like long winding paths, rather than a single connected ecosystem. Traveling between points is a chore, a fact that was recognized in Dark Souls 2 with the fast travel. But this is only part of the problem. Until it feels like a complete world, instead of grafted on individual levels, the design will be hardly improve upon the hub system from Demon’s Souls. In reality though, these are mostly lateral complaints. Not degradation, but simply a missed opportunities for improvement. There is however one way in which Demon’s Souls clearly surpasses its successor: the story, and the characters that live in it. There’s little than can be said without spoilers, but both make you piece the world together through isolated dialogue, but it was only in demon’s souls that the lore carries weight. Both endings are anti-climatic, but Demon’s Souls is intentionally so and beautiful for it. That’s not to say I wasn’t interested in the lore of Dark Souls. It simply becomes an after thought, a little flavor text to flesh out the experience. I beat it twice, and I can’t even tell you how it ended. Demon’s Souls on the other hand was subtler and darker in its story. Each character a tragic figure, and you’re often asked to destroy those that are hardly different than yourself. In terms of game-time, it’s probably a wash which one I actually played more. There are dramatic improvements in Dark Souls: the graphics are vastly better, it did away with a frustrating light/dark alignment system, and implemented a streamlined covenant attribute. The gameplay itself, which was the most transformative thing about Demon’s Souls, is somehow made tighter. And the level design… Demon’s Souls had two perfectly designed levels, two well designed levels, and one horribly designed level. In Dark Souls, all level design is a high note. 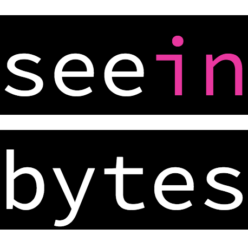 It’s overall an improved experience, and as a result to the easier game to recommend. Dark Souls is without a doubt an amazing experience. It might actually be the best of the previous generation (The Last of Us being a strong counter-argument). But to not recognize where it came from, and to fail to acknowledge that Demon’s Souls provided the most reinvigorated gaming experience of the past ten years, is to do a tremendous disservice to the apex that came after it. I’ll keep this travel log spoiler free as best I can, and instead discuss the ebb and flow of a game whose earlier entries I’ve enjoyed a tremendous amount. My biggest complaint from the first two games, is how beautiful the world was created, while the story was left undeveloped. This is especially true for the DS1, which leaves an insane amount on the table. 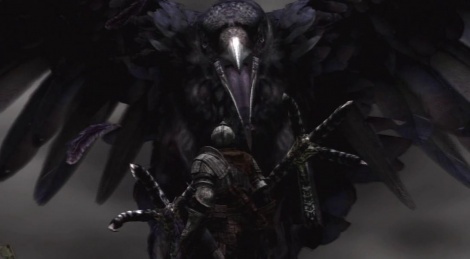 In DS2, the opening scene is phenomenal, and I watch it several times as I let the controller charge (and because I like the mood it puts me in). Alone and forgotten, you need to choose a character. This is usually one of the most enjoyable parts of any game for me. In DS2 you have a number of choices, all with a decent amount of experience under their belts. Except for the last, the depraved, soul level 1 (the second lowest is 10), nothing equipped. But I like he description- “Has nothing to fight with, except life-affirming flesh.” I pick the Depraved, because if you’re going to play a game known for its difficulty, you might as well do it right. At the bottom level, and with a low damage dagger, I have to spam the beginning level a bit. If the last two games have taught me anything, you dump your souls into endurance so the first soul level choices are cut and paste. It is nice to see that the feel of the previous two games has translated well, and I can dance around avoiding damage pretty well. Nothing’s changed, and hours run by quicker than I can remember. Even though most of its familiar (the gradual progression from bonfire-to-bonfire, descending platforms, alternative paths), when I wake up the next day, I’m generally excited to keep playing. 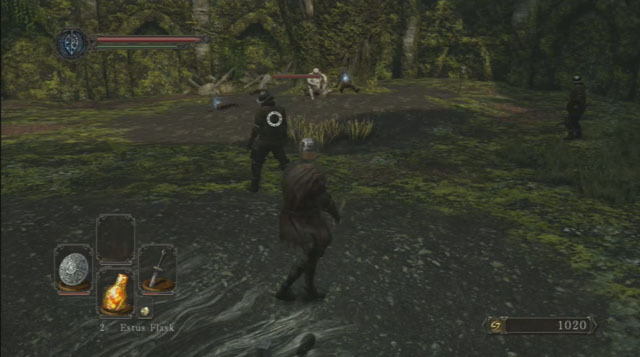 I found the beginning world of dark souls disappointing, and all the backtracking grates, and while many people will cry foul with the instant traveling between bonfires, it seems like a perfect alternative to the constant sprinting between already traveled areas. I finally figure out how to light a torch halfway through the first area, not that I’ve realized the value of it yet. It was more the fact that all the unlit pyres were starting worry me. At the boss I’m killed quickly. 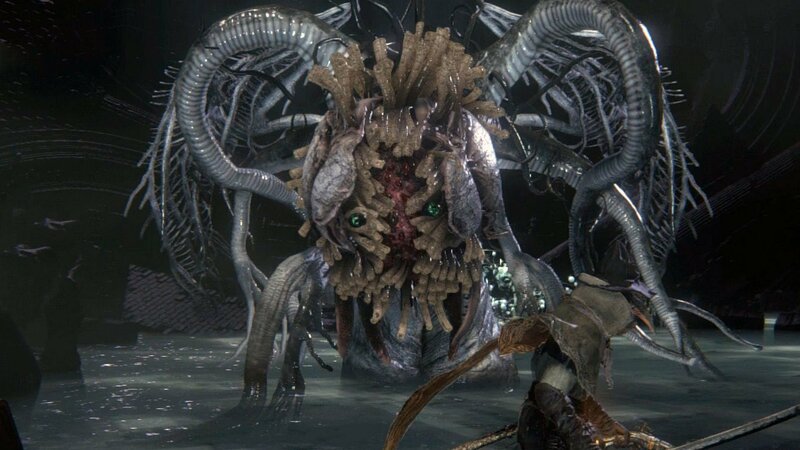 He’s harder than the first boss in the previous two entries, and I realize I’m underleveled. My play style is shield-and-sword, but I’ve avoided putting points in strength, because I had the urge to go for a dex build. But either I need to learn how to parry, or give up the ghost, and just accept the way I actually play. I push if off and decide not to make a decision about the strength vs dex and just keep dumping points into endurance and vitality. The first boss goes down but it takes a couple tries, and a NPC controlled summon. You can fly through the game by summoning live players, but I always felt guilty when I did it in the first Dark Souls. I would always wind up forcing myself to play without the aid the second time around. You can stumble on this guy early. And it’s a quick battle when you do.